The Duchess of Cornwall is to become the new President of The United Kingdom Vineyards Association later today (Monday 25 July 2011). She takes over from Lord Montagu of Beaulieu, who will become Honorary Lifetime President in recognition of his long service. I had no idea of this development when I wrote The Duchess & the Champagne two weeks ago, but it was leaked to me last Friday by someone who had read that column and thought I should know. My source swore me to secrecy until I received the nod today, otherwise it would be off to the Tower for him or her (I’m giving nothing away). 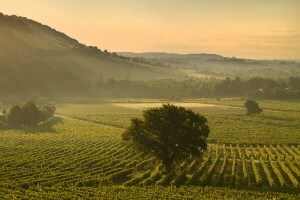 English and Welsh winemakers now have the perfect conduit through which to communicate with the international media during the London Olympics in 2012, which coincides with the 350th anniversary of Christopher Merret’s document proving the British invented sparkling wine long before French. True to form, they met last Thursday, and shot themselves in the foot! It was a meeting of the EWP (English Wine Producers), the marketing arm of UKVA, and most of the members present took Eric Heerema’s approach that it is too early to decide on a new appellation for English sparkling wine. Okay, the clock is ticking away and it’s pretty obvious that they will still be bitching over this issue long after 2012 has come and gone, so let’s take a step back and see if the situation can be resolved. Is there strategy that can be fast-tracked and does not represent a stumbling block for any English sparkling wine producer, whatever its position on a new appellation? I believe there is. It strikes me that the argument to date has always been about the appellation whereas “Original British Method” (or whatever they want to call it) is a method, not an appellation. “Original British Method” is the equivalent of “Méthode Champenoise” not Champagne. The Crémant appellations of France are made by the “Méthode Traditionnelle”, and Spain’s Cava is made by “Método Tradicional”, while Italy’s Franciacorta and Trento are made by “Metodo classico” (or “Metodo tradizionale”). So why don’t English and Welsh sparkling wine producers put the thought of any new appellation on the backburner and immediately agree a British term for the method employed? If that’s not an acceptable compromise, I give up!